Save time and money proving fault! 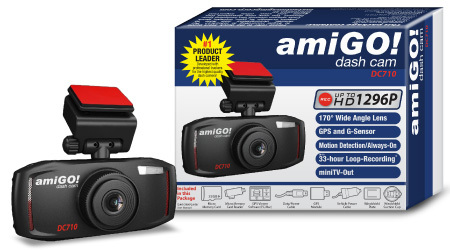 Developed with professional truckers for the highest quality dash camera! Tested for Quality Assurance to prevent freezing, including stable firmware. Connect Data cable to computer and camera port. Drag and drop videos or still images from camera to computer. Double-click setup file for your operating system. 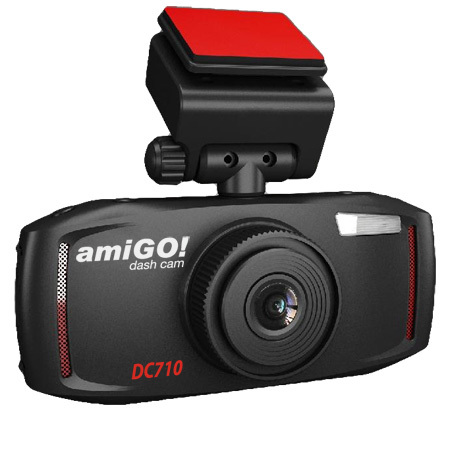 Review your video and route in Dashcam Viewer. *Talk to your insurance agent/company to see if you qualify for a discount using the amiGO! 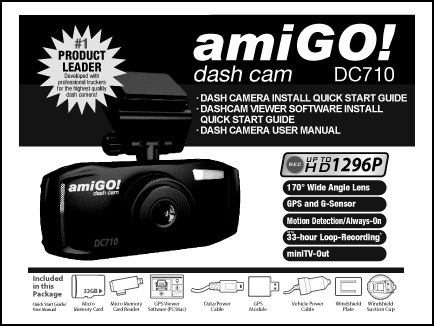 Dash Camera. Insurance participation may vary. **Loop-Record up to 8 hours at 1280x720 30P; up to 3.5 hours at 2304x1296 30P with 32GB High Speed 10 Micro Memory Card (Included). | Loop-Record up to 16.5 hours at 1280x720 30P; up to 7.5 hours at 2304x1296 30P with 64GB High Speed 10 Micro Memory Card (sold separately). | Loop-Record up to 33 hours at 1280x720 30P; up to 15 hours at 2304x1296 30P with 128GB High Speed 10 Micro Memory Card (sold separately). ***Full install instructions included in Quick Start Guide. All product and company names are trademarks™ or registered® trademarks of their respective holders. Instant Imaging Corporation (IIC Inc.) is not affiliated with or endorsed by these companies.